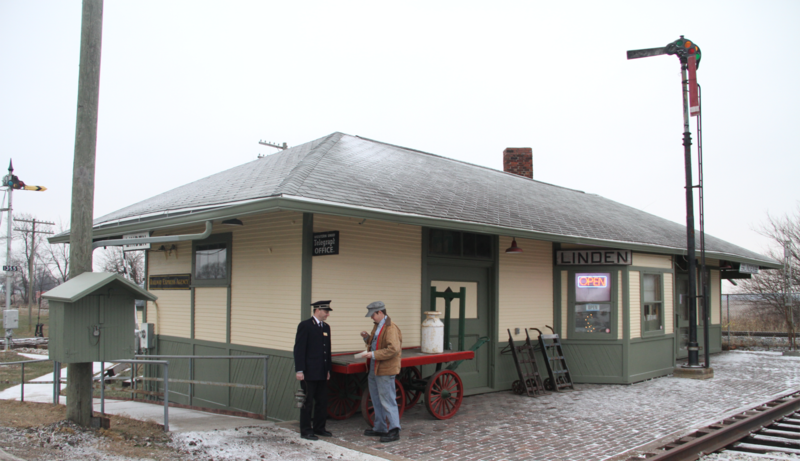 Linden Depot Museum is located on US Highway 231 in Linden, IN approximately 15 miles south of Lafayette, and 10 miles north of Crawfordsville. 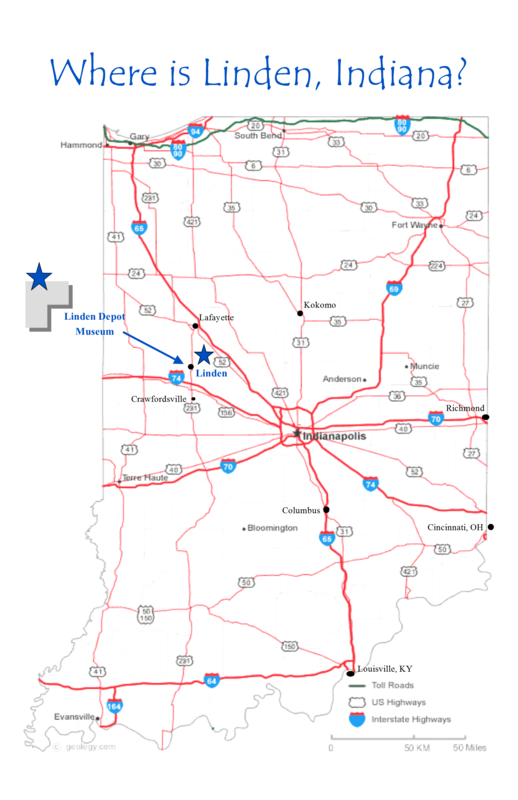 The street address is 520 North Main Street Linden, IN 47955. We will open for groups on other pre-arranged days and times.